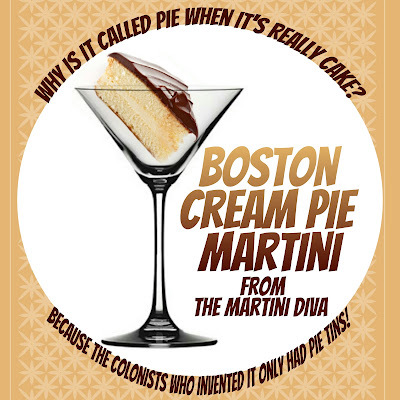 Technically this isn't really a pie martini - it's a cake martini, but it has pie in the name so I'm calling it a pie cocktail. 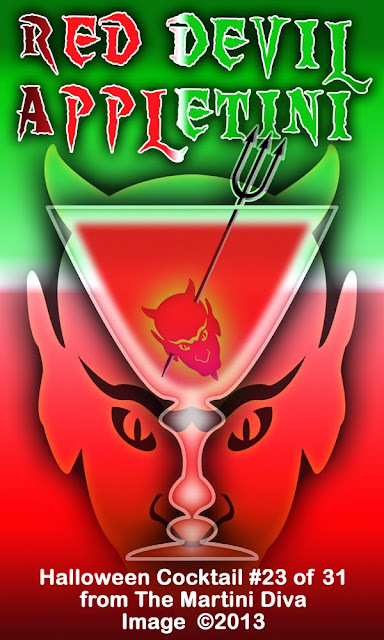 The point is moot though because I'm posting a cocktail recipe which isn't really pie either! Why is it called pie and not cake? Because the colonists who had an early version of the recipe didn't have cake tins, they only had pie tins. 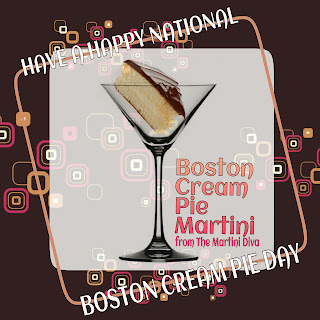 Like it's namesake, the Boston Cream Pie Martini is a delightful combination of rich vanilla and creamy chocolate. The cake vodka really does bring in the flavor of a yellow cake batter and it also hints at the custard filling. The white creme de cacao brings in the chocolate ganache topping and I added a bit of espresso because coffee punches up the chocolate. The Boston Cream Pie is the official state dessert of Massachusetts which is fitting since this dessert was created in Boston at the Parker House Hotel by Chef M. Sanzian. The Boston Cream Pie is one of my favorite desserts. My Mom didn't make a lot of desserts but this was one she did - usually once a week - and it is still one that I gravitate to for comfort food. Having it in an adult version with a little bit of alcohol just makes it that much more comfortable! Pour the chocolate syrup into your glass so it settles on the bottom. Fill the cocktail shaker with ice and add the remaining ingredients. Shake until well chilled then strain gently over the syrup and serve.